Mere three weeks past its tenth birthday, after a prolonged period of relatively stable trading at around 6,400 US dollars, a sudden plunge in price which bottomed at 4,282 US dollars (a 33% drop) sent crypto enthusiasts into panic mode yet again. As usual, with no real-world explanation, and probably as a result of manipulations us mere mortals and owners of fractions of BTC will never fully understand, everything went red. 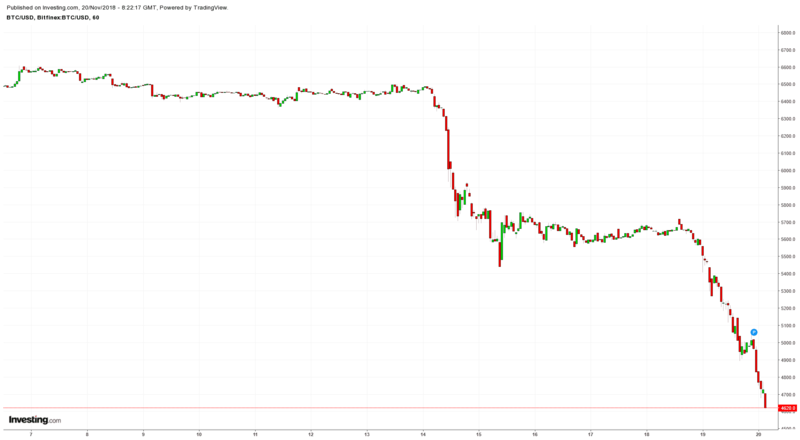 The initial drop was so steep it easily plummeted through and below long-term support at 6,000 USD, an event which triggered the first wave of massive panic selling. Four days later, another freefall happened. The sad truth is, as much as it hurts, there seems to be absolutely nothing little people can do, but watch as their fortunes fade. Theories vs. conspiracies – who or what is to blame? Unless you are trading in the right place at the right time, by the moment you realize something is wrong with Bitcoin, your portfolio is usually down by a two-figure percent. This is due to the fact that, with all its price fluctuations, Bitcoin is still considered to be the only stable coin in the market, so something “being wrong” with it usually means a disaster is looming. Once you are at peace with the fact that there’s probably not much you can do if you’re a holder, things like this don’t excite you too much. You probably take a cup of coffee – your heart rate consistent – and start exploring post-apocalyptic YouTube videos, tweets and subreddits. “Binance transferred out 110,000 BTC,” “Is Bitcoin Cash hard fork to blame?” “Craig Wright responsible for Bitcoin Market crash,” “US Justice Department Probes Tether for Bitcoin Price Manipulation” – these are just some of the headlines offering possible “explanations” as to what actually happened. Since its birth, Bitcoin has definitely gained adoption and become, although in a somewhat limited sense, a medium of exchange. Everybody remembers the story of Laszlo Hanyecz who bought two pizzas from Papa John’s for 10,000 BTC; the use case for the currency has definitely taken off ever since, as it is now possible to buy all sorts of things and pay for services using BTC. However, this is still very far from the worldwide adoption, and no real adoption means that the market is still ruled by shadowy deals, FUD and FOMO. For those less familiar with how things work, here’s an oversimplified story about the Bitcoin Protocol. 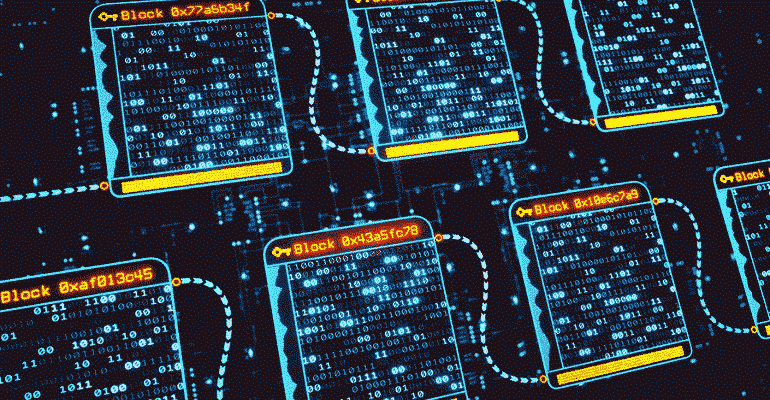 When a computer is sending Bitcoin, a data chunk is created, containing information about the source and the destination of this transaction. All the transactions that occur within the network are kept in public ledgers, of which a full copy is present in every computer participating in the network – the blockchain. This part is crucial, because this is the only way to keep all of the ledgers in sync, and being public in the first place means there is no way to falsify data. The network is vast, so computers receive a lot of transactions, which are batched together into blocks. After performing some additional (and highly demanding) mathematical operations, a block can either be declared valid and broadcast onto the network, or be discarded as if it had never existed. Finding a valid block means you get a reward, a piece of Bitcoin. Now let’s imagine what would happen if there weren’t any miners. Suppose someone wanted to send some BTC; a data chunk is created, but there is nobody to confirm or deny ledger legitimacy. This means that, in theory, one could create an infinite number of almost identical data chunks with different destinations; this is called double spending. We now understand that it is essential to have miners in the ecosystem for both basic functional and security purposes. The other reason is purely economic: as with any commodity, the price of BTC (FUD and FOMO aside) is driven by demand and supply. If the supply is limited or, in this case, capped, and demand is low, the price is likely to go down; this is why news about miners decimated by this market decline selling their equipment “by the pound” comes at the worst possible moment. The calculations to determine actual levels of decimation are simple. The most sophisticated Bitcoin miner in existence today, the Antminer S9i, would use roughly 51 MWh of energy to mine a single bitcoin. This translates to $6,120 in the United States, which is bad enough, but not nearly as bad as EUR 15,300 (around $17,500) in Germany and Denmark. On the other side, Ukraine, with its price of EUR 0.4 ($0.46) per kWh (calculated price per 1 BTC mined is $2,355) might just be the next promised land of the mining nomads, as the Ukrainian state agency responsible for licensing regimes does not require any special licenses to mine any of the cryptocurrencies. 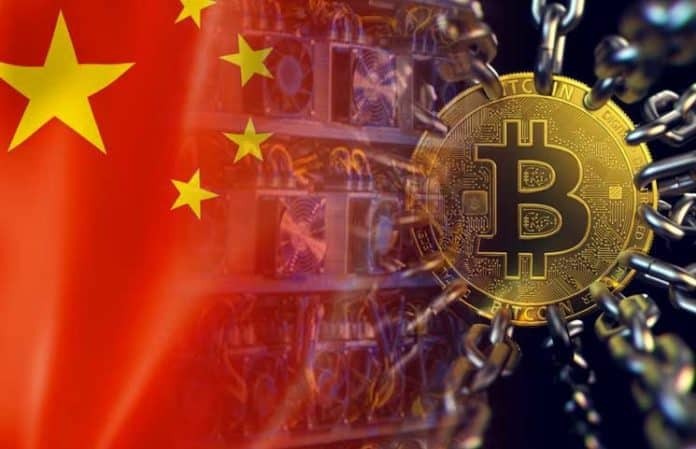 To make things even more catastrophic, a large number of small miners leaving the network would probably centralize the industry even further, leaving all of the decision-making in the hands of only a few mining corporations, primarily based in China. Such a high concentration of power could trigger yet another hash war, with the market still recuperating from the BCH split which is the most probable cause of the current market decline. The situation is rather simple: if two major mining companies disagree on the direction in which Bitcoin should be headed, it will almost certainly lead to yet another fork and further shake the trust of the community in the most dominant cryptocurrency. Grim times are definitely ahead for Bitcoin, this being a scenario which is becoming more and more likely. Price-wise, despite the weak stability at around $4,500 BTC has managed to keep for the last 48 hours, further drops are expected, and might as well continue throughout December. For many investors who entered the game in December of 2017 or January of 2018, this spells apocalypse.